During your stay you can enjoy the countless attractions of the Picardy coast and the 2 Baies. Walks, sand yachting, good restaurants and fine shops for 'foodies', ball games, boules ... There's something to please everyone at Oyat. So come along and see for yourselves! Charming house, suitable for large families (6 bedrooms available!) in the old part of Fort Mahon. Spacious accommodation (180 sq.m. ), large garden (1,100 sq.m. ), peaceful setting, birdsong at dawn, board games, outdoor games, full set of baby equipment. 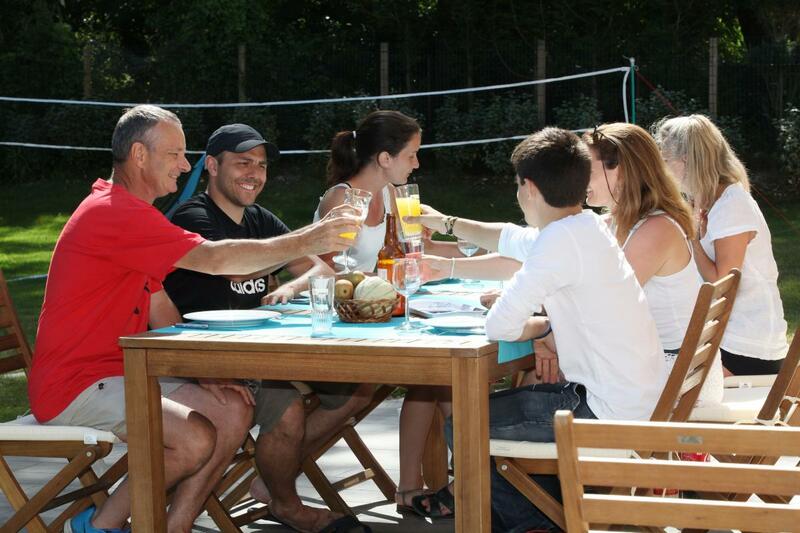 You'll have everything you need to enjoy a lovely holiday close to the sand dunes of Le Marquenterre. Large modern house. Ground floor: 2 bedrooms (double bed in each), WC, shower room (large shower), large living room, fitted kitchen (well equipped), large light & airy lounge (TV, DVD player) overlooking garden. Wood-burning stove (firewood supplied). Terrace, boules pitch. Garage with table tennis table. Tennis rackets, bikes available. 1st floor: large bedroom (2 single beds, 2 single bunks), bedroom (double bed, single bed), 2 separate WCs, shower room, bedroom (double bed), master bedroom (double bed) with en-suite bathroom.